Switzerland has some of the most scenic hotel locations in the world, surrounded by the timeless beauty of the Alps. The hotels that are located in these tourist destinations need some of the tasteful styles typical for the mountain resorts and at the same time original, and tailored to the customers whom they are addressed to.  Doppiozero39 was able to deliver a rustic style with modern design elements and innovative approaches, achieving a result by combining tradition and the modern trend in perfect balance. The custom-made furnishings for the restaurant is made up of solid ash-wood chairs upholstered with first-grade grain-fed-cow leather, while the seats are made of pickled ash. The counter and the furnishing central element, are made of raw solid oak with stained beech stool and fabrics. The tables in the restaurant were also made in solid beech wood, letting the elements to unite the environment. The canopy is made of beech solid wood and metal that furnishes the most classic rooms, also embellished with pickled ash mirrors. The rooms "city", with a more modern style, that have a metal custom canopy, recurring element in other pieces of furniture; the table from the metal structure that supports the top lacquer back. The desk instead is lacquered wood and lacquered back alchemy crystal. Complete an elegant chaise longue furniture design in ash wood and fabric seat, accompanied by faux leather ottoman. In the other rooms of the hotel metals are being replaced by wood materials, while remaining an important material: the desks are composed of a solid metal structure on which they rest upon an elegant ash floor, metals are also used for the bench, after being pickled. The bed features leather headboard and bed frames. The bedside tables have a support structure in full stem of painted cedar wood, holding up the precious glass top. What also goes together with the set are the solid ash wood stools with adjustable wooden screw. Completes the decor elegant ottoman in faux leather.